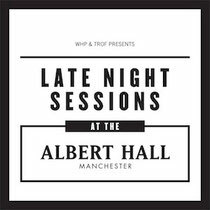 The second round of Late Night Sessions at the Albert Hall has was recently announced taking in the likes of Chase & Status, Sasha's Last Night On Earth Show and Marco Carola. 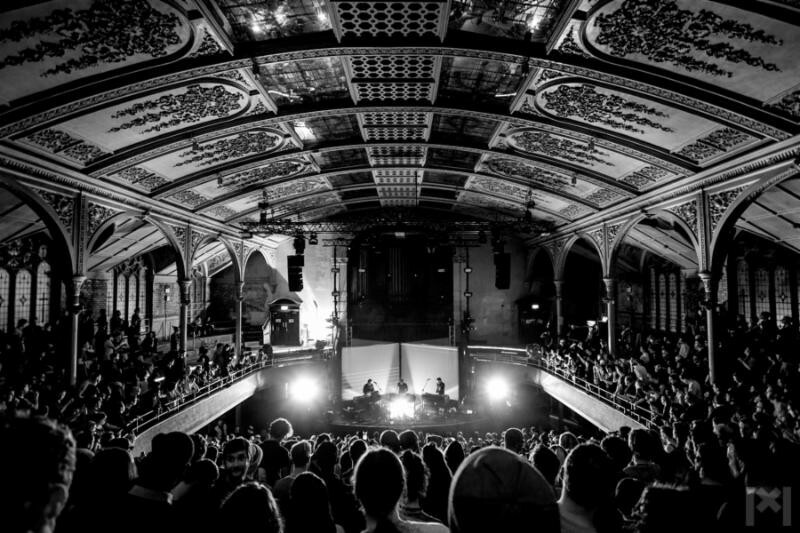 The new series of club shows from The Warehouse Project + Trof which launched with Moderat in early February, takes place at Manchester's Albert Hall. 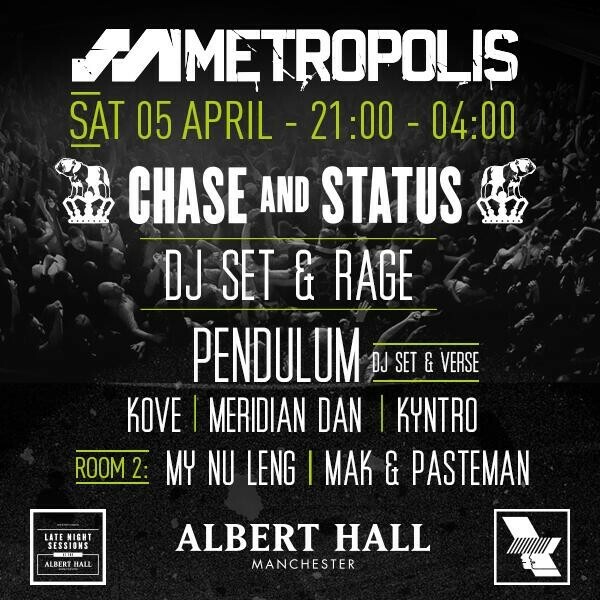 Saturday 5 April, Leeds based bass promoters Metropolis up sticks and head to Manchester to host a lineup filled with D&B’s Chase & Status. Reeling off the release of their third album ‘Brand New Machine’ (reaching number 2 in the UK Albums Chat and number 1 in the UK Dance Album Charts), they're joined by Pendulum who will be supported by Kove, Meridian Dan, My Nu Leng, Kyntro, Mak & Pasteman, North Base, Mark Xtc and Chimpo. On Saturday 20 April, Sasha brings his Last Night On Earth Show. 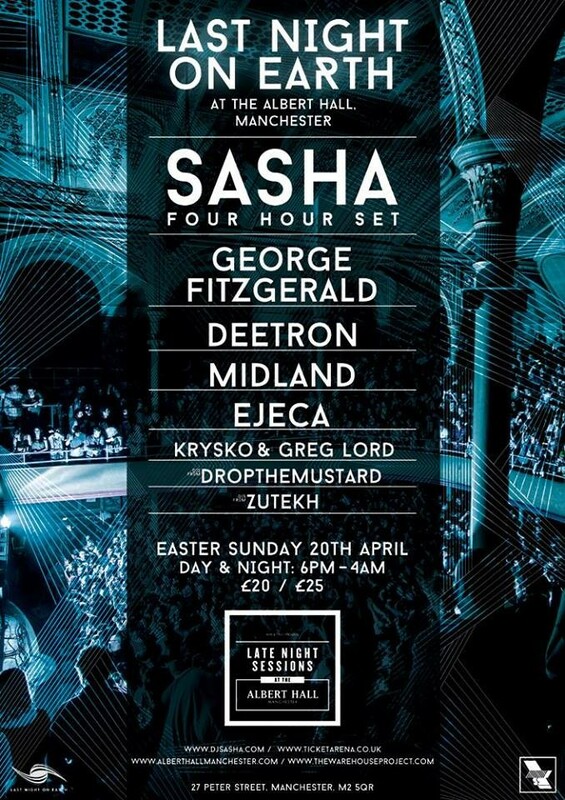 Taking over The Albert Hall Manchester, label boss Sasha will be treating clubbers to a special extended four hour set. He'll be joined by George Fitzgerald, Deetron, Midland, Ejeca plus Warehouse Project residents Krysko & Greg Lord, Drop The Mustard DJs and Zutekh Djs. 15th May sees The Albert Hall host a show headlined by Marco Carola. As part of the Late Night Sessions club series collaboration between The Warehouse Project and Trof, the show will see the newly-opened venue present its first techno showcase, with a full support line-up to be announced soon with tickets on sale now.